Very rarely do we hear the back stories of how startups in Singapore operate, because media usually report on a certain milestone or big funding, using them as a sign of “success”. So when Bryan of Intraix, reached out to share his journey over the past two years, we agreed to meet. Dressed in his company T Shirt, Bryan had one goal – to share with us his ambitious plan to put Klug, his company’s latest product into the households of every Singaporeans. But first, what is Klug and who is Intraix? Founded in 2011, Intraix is a energy conservation startup with the mission to help businesses and households to save energy. The company has been developing solutions to convert raw energy usage data points into information that you can use to make your life easier. As part of its effort to get more publicity and to raise fund back in 2011, the team also took part in a reality TV show by Channel News Asia called Angel’s Gate. Since then, we have not heard much from the team. So what happened in between 2012 to 2015? Intraix’s energy monitoring dashboard works with third party data. 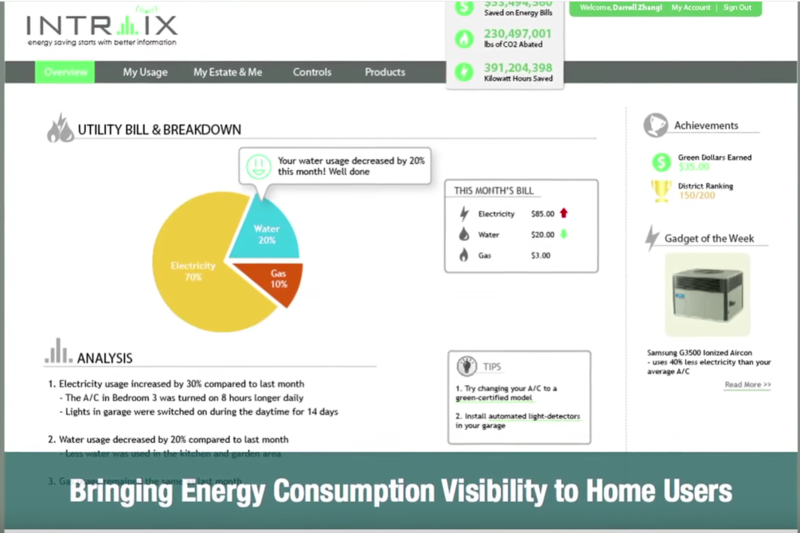 To use Intraix, a household would need to log into the Intraix dashboard to monitor their energy consumption and make lifestyle changes accordingly. On theory, this sounds totally feasible, because in the long run, households save money by optimising their household energy usage. In practical though – things didn’t work out as planned. “Our software was pulling data from Singapore Power, but this method is not reliable because sometimes we can’t get the data (from SP) sometimes. Another thing we realized too is that people don’t really care about saving money – if they want to enjoy the aircond after a hard day of work, they don’t mind paying for that,” Bryan told Vulcan Post. Intraix soon faced low adoption from households in Singapore. Due to tightening cash flow, the team had to look for an alternative revenue stream, so in 2013, the team focused on helping commercial buildings and data centre to save energy instead. “We then realized our solution made much more sense tocommercial buildings, because the cost savings is huge – their monthly bills are in 6 figures, so if we help them save a few percentage point, that would translate to tens of thousands of savings per year,” Bryan shared. Commercial building clients were interested in Intraix’s solution – and soon enough, Intraix managed to sign on 3 commercial buildings to use their solution, along with a few other data centers in Singapore. The shift towards business clients rather than households proved fruitful too – the company saw S$1.2million in annual revenue after the shift in target audience. With the new cashflow, Intraix was able to tide through 2013. There were some other problems though – to conclude a deal with commercial building clients, the sales cycle is very long. Furthermore, to Bryan, Intraix’s original vision is to help household better use their energy consumption. Serving commercial business clients was merely to help get some cashflow to keep the company alive. In 2014, now that there were some revenue to sustain the company, the team decided to stick to its original mission. 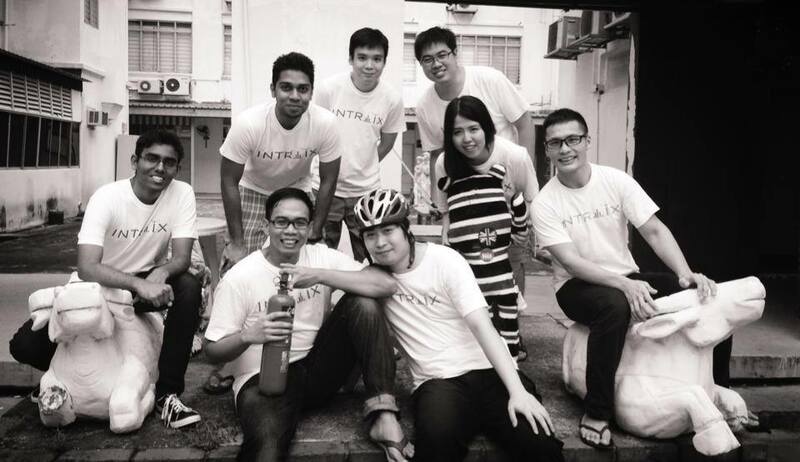 To help households in Singapore, the Intraix team decided to venture into building their own hardware – a task that none of the team is even familiar with. To realize its mission, Intraix is working on a new piece hardware – Klug – which aims to connect the household air conditioners to the internet. “We decided then to produce our own hardware. We could have used third party hardwares to run our software, but existing hardwares are sub par in quality. What’s the point of having a good piece of software when the physical hardware is bad?” Bryan shared with us. “Situation worsen too – people left the team because the profit from the commercial business clients injected to push the hardware project were running out, and we had no money to pay. I’m really thankful for those who sticked around. We were not able to pay them because our commercial business clients who are using Intraix were paying us in quarterly lump sum payments – so we had cash flow issues,” Bryan recalled. After 18 months of mistakes and learnings, only then did the team finally manage to produce Klug, and is now ready to be showcased to Singapore. Simply put, Klug is a tiny device that connects the air conditioner to the Internet. It works with any brand and is synced with the air quality data from the National Environment Agency. The problem that Klug is trying to solve is to make “air conditioner smarter and adjust it to your lifestyle,” according to Bryan. Klug understands your energy consumption pattern and can even switch off the air conditioner automatically when you leave your house for work everyday. As it is synced with the data from NEA, if it is forecasted to be raining soon in Singapore, Klug magically adjusts the air conditioner temperature, thus saving energy and money. So how does Klug connect to your air conditioner unit? I “sticks” on the exterior of the air conditioner, and has no wires. It controls the air conditioner using IR commands, the same way your TV remote control controls the TV. Klug is also connected to the Internet via your house internet wifi. For us who are based in Singapore, we would know that Singapore has an ambitious Smart Nation plan – which seeks to harness technology, networks and data to support better living. Under the initiative, there are two huge theme: smart mobility as well as smart living. Now that Klug is market ready, it is well positioned to ride on the Smart Nation tide. To realise its Smart Nation ambition, Singapore has been working with companies in Singapore. Of the 17 accreditted companies under the Smart Nation plan, Intraix is one of the home automation vendor, and because of this status, Intraix is able to showcase its product to a large audience and tag along whenever there are road shows by the government. Intraix didn’t want to put all the eggs in the Smart Nation basket, because Smart Nation is a long and slow project. During the various road shows, there were also a lot of people who are still skeptical about what Klug can do. “Wow you mean Klug can automatically switch off my air conditioned when I’m out of the house?” were just some of the common questions asked during all these road shows. This coming March, the team will launch an indiegogo project for Klug so that early adopters and those that are really interested in Klug can purchase it from the team. Instead of spraying and praying for the right audience showing up during the various Smart Nation road shows, Bryan hopes to put 1000 Klug devices onto the hand of Singaporeans. 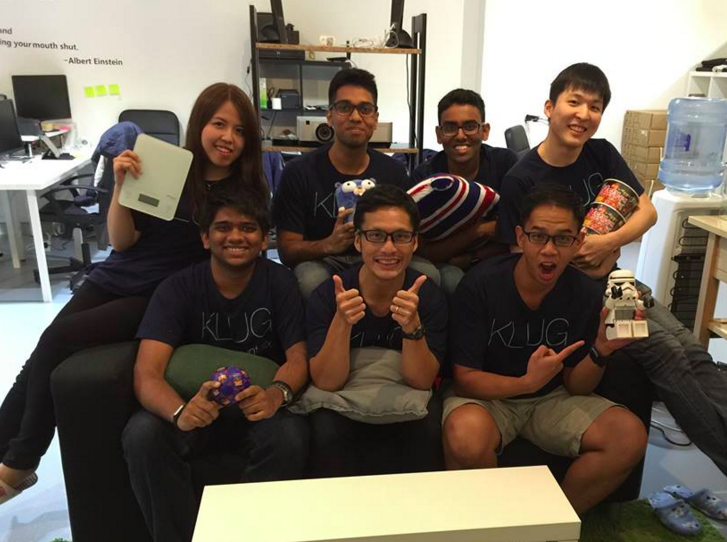 Just as Creative and Razer helped put Singapore to the map, Bryan and his team hopes Klug can do the same too. But before that happens, would you help give the indiegogo campaign a push when it is out?